Beijing Publishing House, 2016-02-01. hardcover. New. Ship out in 2 business day, And Fast shipping, Free Tracking number will be provided after the shipment.Language:Chinese.HardCover. 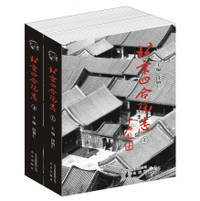 Pub Date: 2016-02-01 Publisher: Beijing Publishing House on the most complete set of Beijing courtyard book. illustrated. Satisfaction guaranteed,or money back.